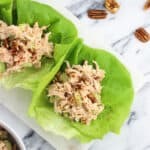 Smoky chicken salad lettuce wraps are a healthy lunch or dinner option with a bold and tangy flavor. Greek yogurt is an easy swap that makes this chicken salad a better-for-you meal. As it stands I have a love/hate relationship with lettuce wraps. 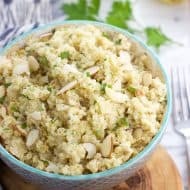 I love them because they’re a healthier appetizer or main dish option that are usually filled with a delicious savory mixture, but if that mixture is even the slightest bit too liquid-y? Not good. Soon I’m asking for extra napkins and trying my hardest to keep the sauce from running up my sleeves. Not exactly the basis of a relaxing meal! Thankfully with this chicken salad lettuce wraps recipe you won’t have any of those help-sauce-is-running-up-my-wrists kind of concerns I just mentioned. Not being a huge fan of gloppy salad recipes, I tend to shy away from prepared salads in the supermarket or when I’m out to eat. 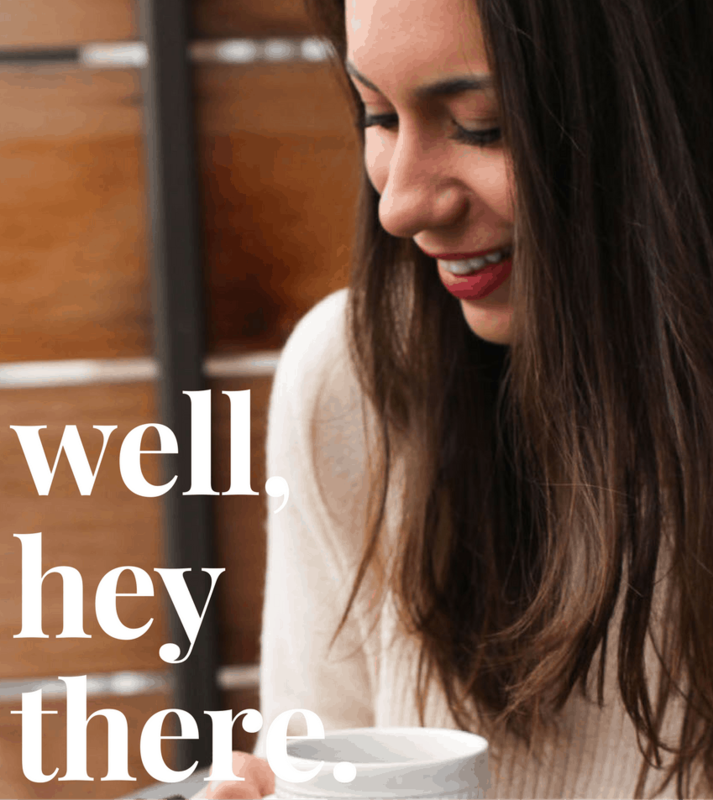 Too creamy and…just no. This smoky chicken salad is a very cohesive chicken salad, if that makes sense. 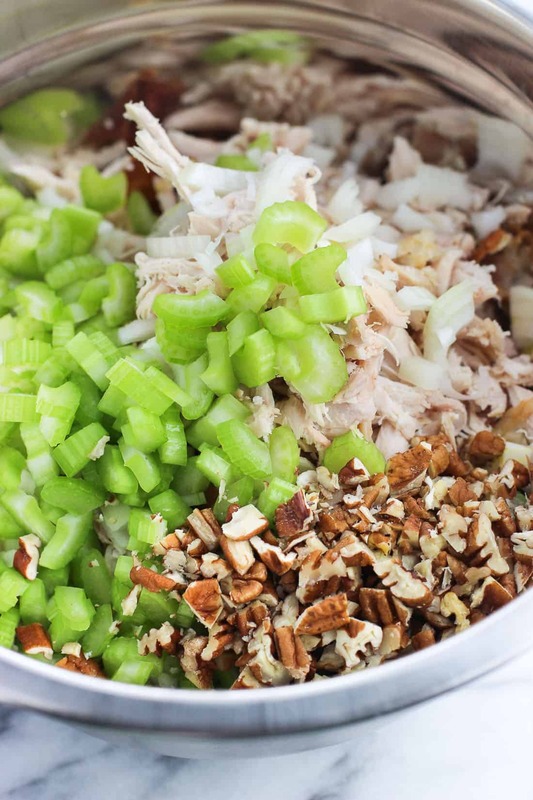 There’s just enough of the binding ingredients (more on those in a sec) to hold the shredded chicken, celery, onion, and pecans together without excess moisture. 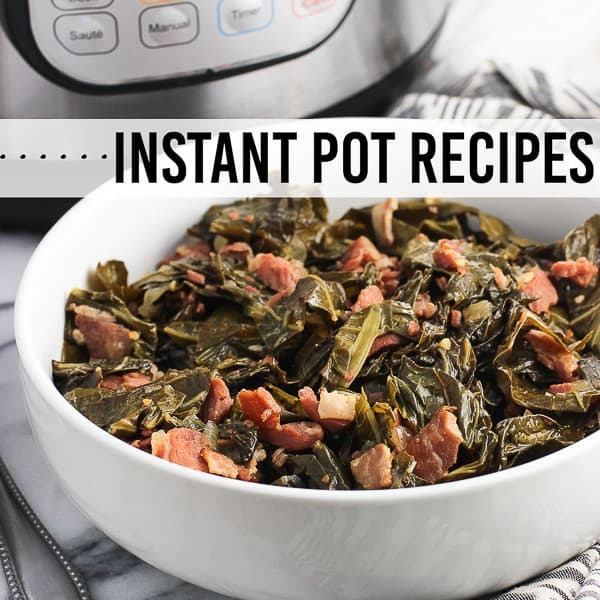 Perfect for lettuce wraps! 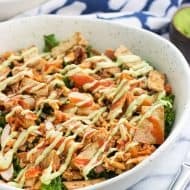 As a variation of my curry chicken salad with cashews that has been my go-to for years, this smoky chicken salad can be eaten warm or cold straight from the fridge. 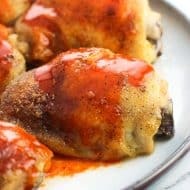 The smokiness here comes from the addition of smoked paprika, which is an easy spice to add that brings the flavor in a big way. I love it especially in these sweet and smoky hasselback sweet potatoes. While I’m not mayo-adverse, I do consider myself mayo-selective. This is the reasoning behind my steering clear of prepared creamy salads. 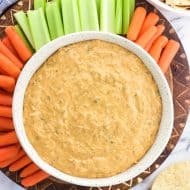 Lately I’ve been experimenting with using Greek yogurt in place of a portion of the mayo typically used in chicken salad, and landed on this break out – half plain yogurt and half light mayonnaise. Be sure to use plain yogurt, of course (I double check now after almost grabbing vanilla on one occasion). 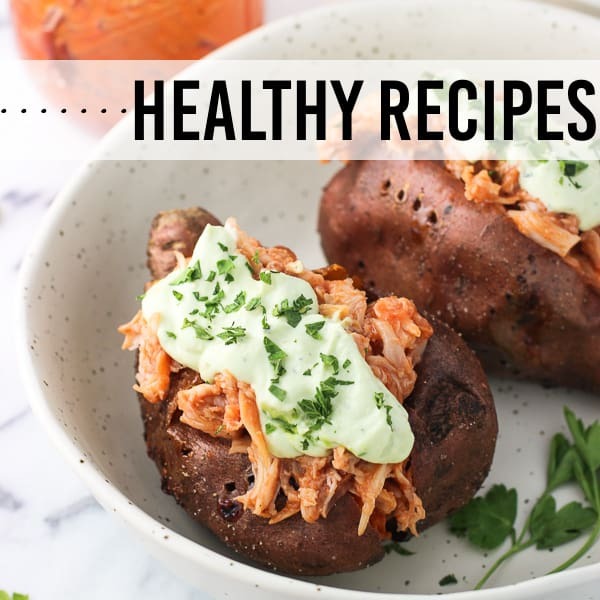 With all the bold flavors here, from apple cider vinegar to smoked paprika and curry, the yogurt blends right in to act as a stealthy and healthier ingredient substitution. 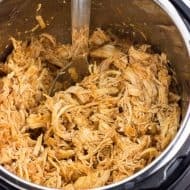 5 cups of cooked and shredded chicken was the amount I got from using one whole rotisserie chicken. Walnuts or cashews are a good substitute if you don’t like or have pecans. Plain regular yogurt works instead of the Greek yogurt. You can also just use a full two-thirds cup of light (or regular) mayonnaise if you don’t want to add yogurt. Regular white vinegar works instead of the apple cider vinegar, though the ACV adds a nice bit of flavor. 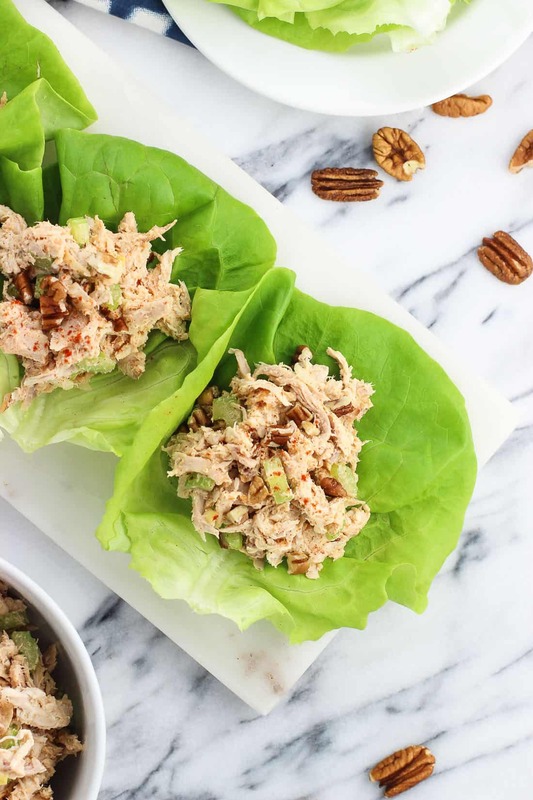 Butter or bibb lettuce leaves work best for lettuce wraps. 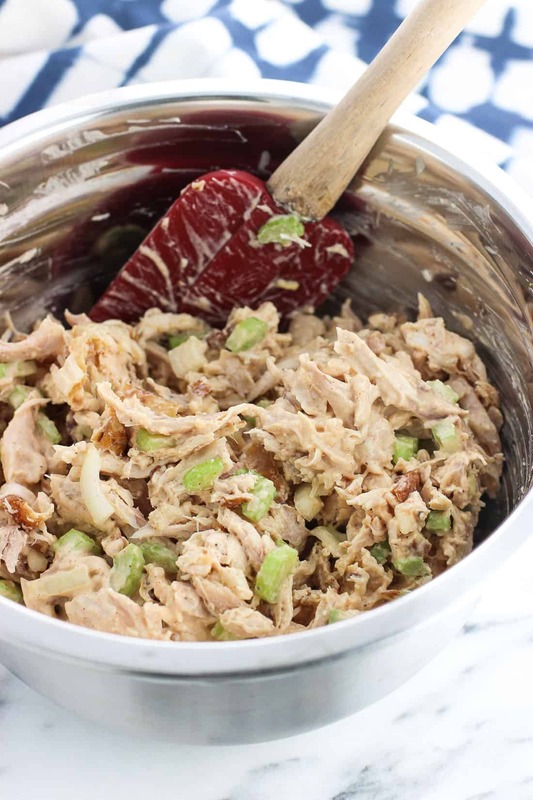 Shred chicken and add to a large bowl. Add in celery, onion, and pecans. 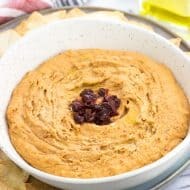 In a separate bowl, whisk together the Greek yogurt, mayonnaise, apple cider vinegar, smoked paprika, salt, pepper, garlic powder, curry powder, and ground mustard. Pour yogurt/mayonnaise mixture into the bowl with the chicken and stir until coated evenly. 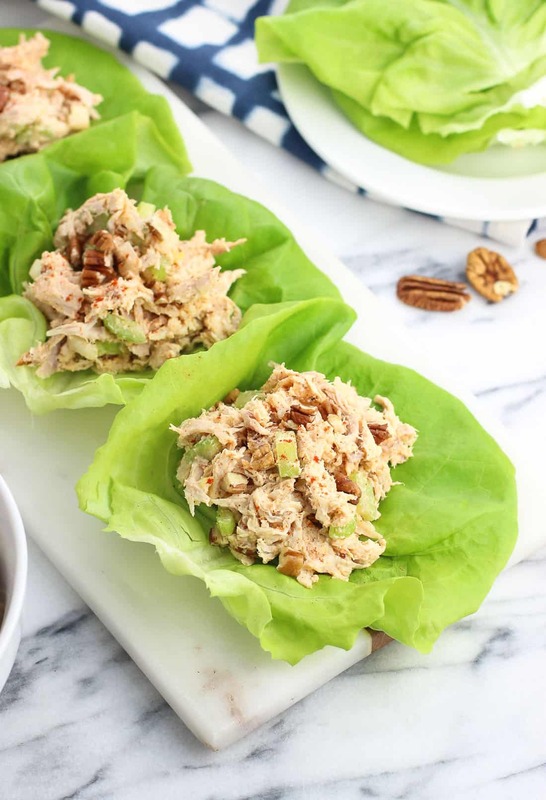 Scoop chicken salad into lettuce leaves for serving. Top with additional pecans and smoked paprika if you like. 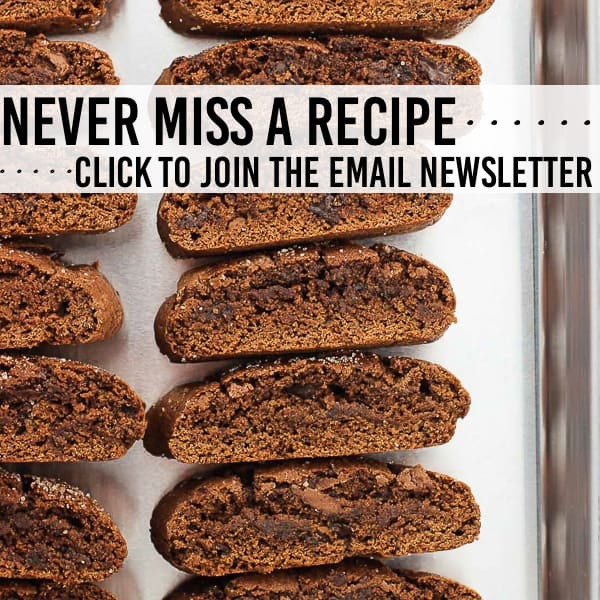 These were fantastic… I stumbled across this while I was hungry and I had everything to make them. I love the addition of the pecans for the added crunch! I think Im addicted…. I want to make them again tomorrow for lunch!